2Timothy 1:7 (KJV): "For God hath not given us the spirit of fear; but of power, and of love, and of a sound mind." The devil, our enemy, intends to intimidate us, and grip our hearts with fear - preventing us from moving forward with the assignment he has for us. If we are not vigilant, and on the look out, we will allow his fearful thoughts to dominate our lives, causing us to forfeit God's perfect plan for us. Faith and fear cannot abide in the same place. And since God's promises can only be obtained through faith, being full of fear stops us from walking in them. God charged great hero's of faith in the Bible to refuse to be fearful, and to hold onto His Word with all their might. These men learnt to redirect their thoughts, and with God's help, were able to do the impossible. When you and I choose to align our thoughts to God's, we are transformed and empowered to do remarkable exploits for His kingdom. 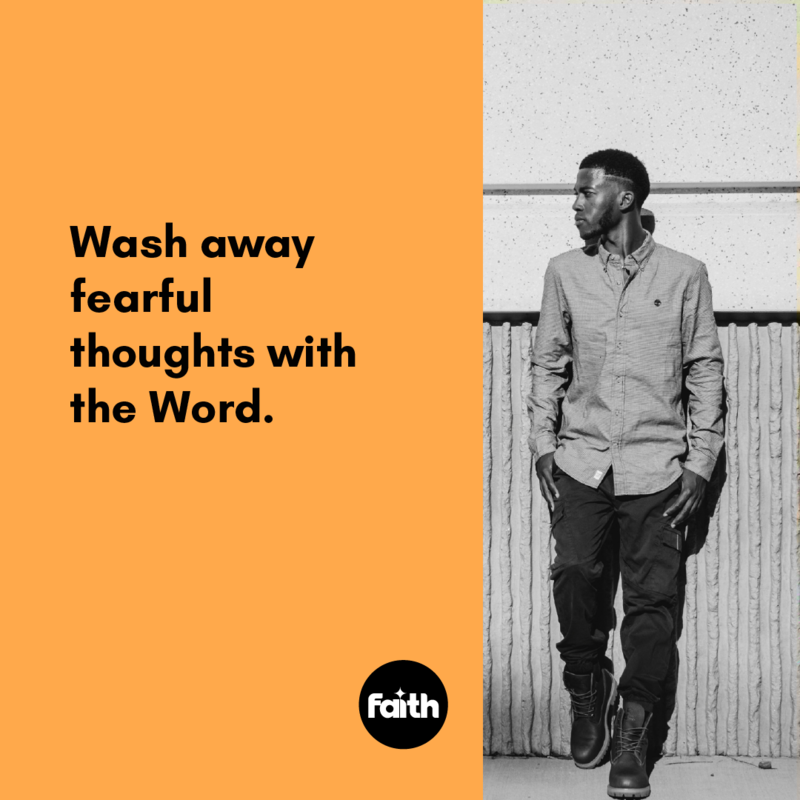 Be extra vigilant to keep fear out your life by having God's Word dominate your thoughts. You will be amazed at what He will do through you - even today.